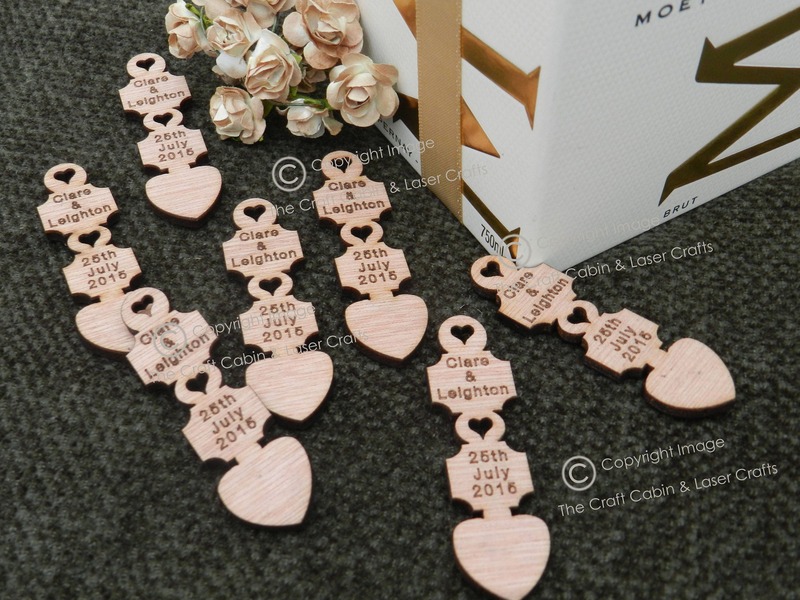 Personalised Wooden Lovespoons Engraved with Names and Date. Welsh Inspired, Ideal for Wedding Favours, Table Decorations, Confetti. 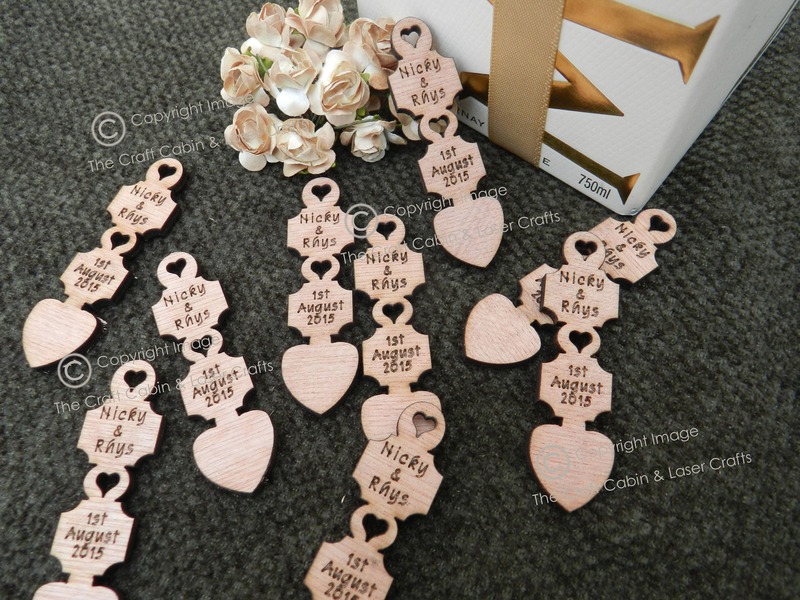 Personalised Wooden Lovespoons Engraved with Names and Date. Welsh Inspired, Ideal for Wedding Favours, Table Decorations, Vintage Weddings. Beautiful, laser cut lovespoons. Cut from 3mm high quality hardwood plywood. Suitable for: weddings, anniversaries, birthdays etc. Personalised with engraved names & date. Personalised with your surname/names, and a special date. Please allow 5-7 working days for engraving and despatch of goods. Please state if Mr & Mr, Mr & Mrs or Mrs & Mrs.. If christian/first names are given, we will add the ampersand & sign in the centre.